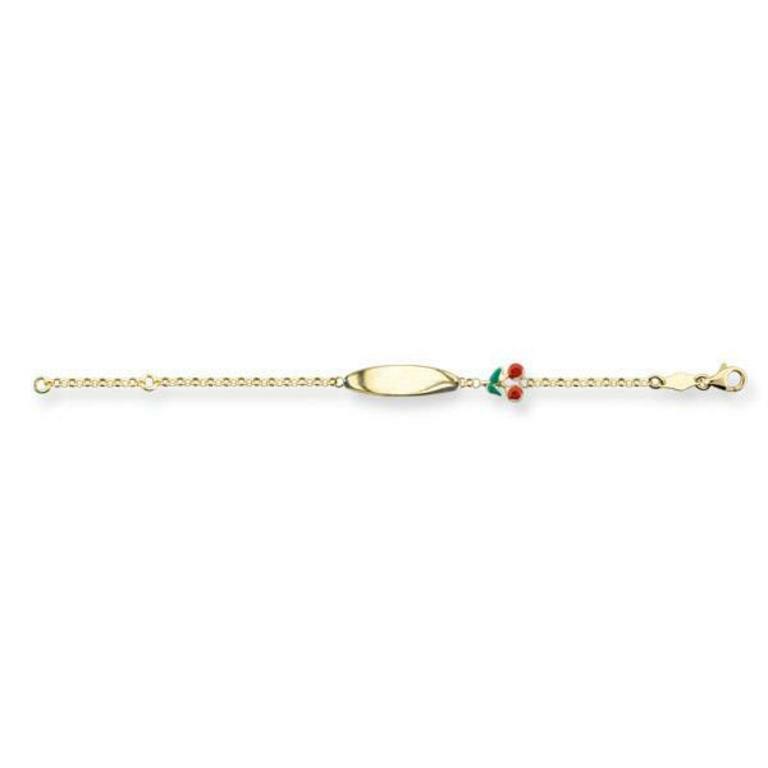 Children's ID bracelet crafted in 10k yellow gold. This bracelet includes an engrave-able name plate and a cute enamel cherry charm. The bracelet is adjustable in length and is rolo link in style.